Could this Jacksonville apartment shooting have been prevented? A man was reportedly hospitalized following a shooting outside The Vue at Baymeadows apartment complex early Friday morning, June 30, 2017. 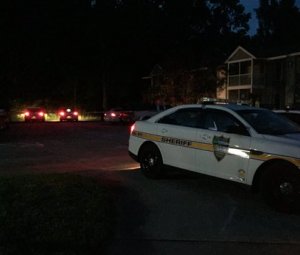 According to First Coast News, gunfire erupted “in the parking lot of The Vue at Baymeadows apartments located in the 8300 block of Freedom Crossing Trail.” A male victim was transported to the hospital with a gunshot wound to the “lower torso.” His current condition has not been released. 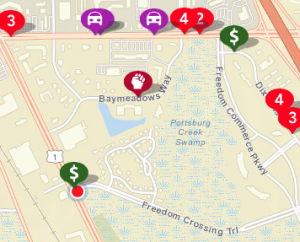 Jacksonville Sheriff’s Office reports reveal a number of recent crimes in the surrounding area. Were any additional security measures, such as gated-entry and security patrols, implemented by the apartment complex owner, following reports of local criminal activity? Generally, property owners are required to protect all patrons legally on the premises from any foreseeable harm. Should the facts of this matter reveal that the apartment complex owner or management company failed to provide adequate security to protect those on its premises, the victim may seek justice and elect to pursue legal claims for his injuries.